If you are a SystmOnline User then click here to log in. Welcome to the Kirkbymoorside Surgery website. We hope that you find this website interesting and useful. Please do let us have any suggestions about how we can improve it because we will listen and we will make changes where we can. Are you interested in free leader led walks? Come and join us on a Thursday morning from 9.30am-10.30. The walks will be led by local Fitness Instructor Toni Lamb who has a specialist interest in Fitness and Health for Older Adults, Prenatal & Postnatal those with disabilities and Young Adults & Children. There are a maximum of 10 spaces available, please let Reception know if you are interested and/or would like to come along. The Surgery will close at 6pm on Thursday 18th April 2019 and re-open at 8am on Tuesday 23rd April. If you need to see a GP urgently before we re-open then please dial 111 from any landline or mobile phone. There are lots of things that patients can do to help the Surgery and in turn the NHS as a whole. The following information is available on our tv screen in the waiting room and you may find it useful. Register for online services: Ordering your repeat prescription and booking appointments online is as easy as ordering your shopping or purchasing an item online. Make sure your contact details are up to date: If you have moved recently, changed your name, changed your phone number then please let us know. Text and email messaging: Please complete the consent form at reception to allow us to contact you via these methods. Electronic prescribing service (EPS): Please let us know which Pharmacy you would like us to send your prescription directly too. This saves us time at reception and GP's do not have to sign 100+ prescriptions each day, it saves the NHS money in storage as every prescription which is printed has to be stored for a retention period. Order medication in time: Try not to run out of your medication. If you do run out, ring us and let us know, do not leave a message on the repeat prescription line but speak to us instead. We will ask you to contact the Pharmacy to let them know that you require your prescription urgently to ensure they can dispense it quicker than routine prescriptions. Only order what you need: Do not stockpile medication. Once medication leaves the Pharmacy it is not able to be given to any other patient even if you return it unopened. Use your local pharmacy: Pharmacies do more than dispense prescriptions and medicines. Many also offer advice on bugs and viruses, minor ailments, tummy troubles, skin conditions and allergies. Treatment for common childhood illnesses and infections. Emergency contraception. Stop smoking treatment and advice. Screening and health checks. We are a primary care centre: If you suspect you or someone else is having a suspected heart attack, stroke or life threatening emergency this is best managed by the Emergency Department. Call 999. Summary Care record: Let us know if you would like additional information to be added to your summary care record. Investigation results: If you have been seen by a consultant and they have asked for an investigation to be performed for instance an x-ray/ultrasound/MRI/endoscopy then the result of that investigation will go back to the Consultant. We will only be notified once the Consultant has written to us. Please contact the hospital directly regarding results. Hospital appointments: We do not have access to the hospital booking system and are not aware of the specific waiting times at hospitals. Please contact the hospital directly. Booking an appointment: Trust the receptionist. Book to see the right health professional. Is your problem ongoing? If so try to see the same doctor about it. Before booking another appointment, have you tried everything your doctor suggested last time? Cancel and re-arrange appointments if you will be late or can't make them. Before your appointment: Plan what you are going to say. Consider answers to common questions. Prioritise your concerns. Is a friend more likely to help you explain? Bring them along. Consider what you are looking for. Treatment? An opinion? Reassurance? A referral? Consider writing it all down. Dress appropriately. Have a wash and try to be clean, especially if having intimate examinations. In the waiting room: Turn up early. Log on and use the POD. If using a translator consider telling them about your problem whilst you wait. Consider taking off some of your layers in the waiting room in preparation for your examination. Try and be patient with us. If we are running late there is probably a good reason. Encourage your children to be on their best behaviour. Don't give them something to eat while you wait. Fill in a Family & Friends Test form. Read the information on the tv screen and browse the selection of leaflets and posters. There may be information in the waiting room which could be beneficial to you or a family member or friend. In the consultation: Your doctor does not remember every detail of your medical history. Be realistic about what can be achieved in 10 or 15 minutes. If you have a list of problems, let us know at the beginning so we can decide what to focus on. Try not to go off topic with your answers. Expect to answer questions, lots of them. Be specific with timings of symptoms. Did it start today, yesterday or a week ago? Don't hide things. What are your ideas, concerns and expectations of us. Tell the truth. Don't make up answers or tell us what you think you want us to hear. Don't leave without getting your main question answered. Try and bring it up early. Turn your mobile off. If you forget and it rings, please don't answer it. The treatment: Be involved in your treatment. If something did or did not work before let us know. Please respect our opinion. You are free to ask for a second opinion. Ask your doctor questions if you don't understand. Examination tips: Cover your mouth when you cough. Encourage children to do the same. When a doctor is examining your chest breathe deeply but relatively quickly - 2 seconds in and 2 seconds out. Try not to talk while we are listening to your chest. If you are having an intimate examination please do not worry, we have seen everything before. Stay well: Having your flu jab and other vaccinations is a quick and easy way to stop you becoming ill and spreading illness to others. Keeping your first aid kit and medicine cabinet well stocked at home will help you treat illnesses quickly yourself and mean you may not need to see your doctor. Stay warm: Stay warm particularly during the winter months as cold weather can affect your health. Sleeping well, exercising regularly, drinking enough fluids and eating the right foods will help you stay healthy and stop you becoming ill. You can get lots more information on staying well by clicking here. Did you know that you can now book evening appointments from 6.30pm to 8pm weekdays and from 10am to 12pm on weekends and bank holidays! You can be seen at one of our hubs at Pickering or Millfield Surgery in Easingwold. Please contact us to book an appointment. We also now offer digital video GP consultations on Friday evenings between 6.30pm and 8pm. Please contact us to book an appointment for your flu jab. We have contacted all patients who are eligible and we would encourage you to book this appointment as soon as possible. Our direct dial repeat prescription line (01751 434916) is out of order for the foreseeable future. You can still order your repeat prescription by phone when we are open by calling us and choosing option 4. This line is at it's busiest on a Monday morning, please try and avoid this time if possible. 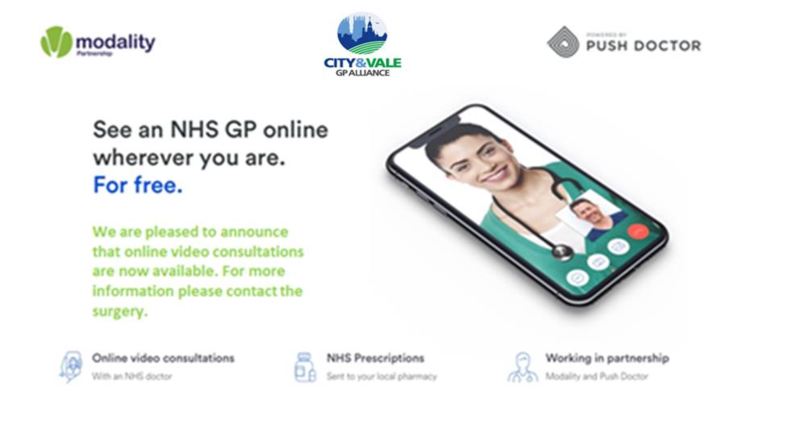 The easiest way to order your prescription is online, please attend the Surgery with a photographic form of ID to register for this useful service. We are pleased to announce that in linking with Dalby Forest parkrun and the Royal College of General Practitioners (RCGP) we are now a certified parkrun Practice! 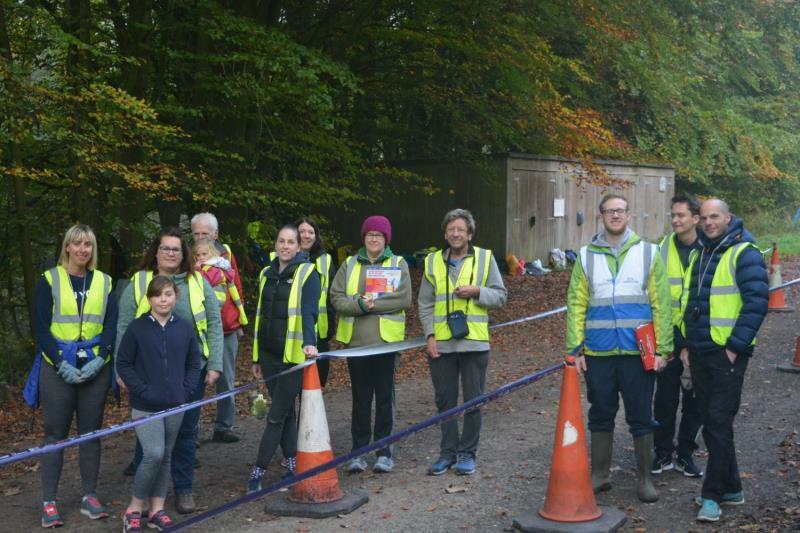 To celebrate this we took part in a volunteer takeover on Saturday 20th October at Dalby Forest parkrun. Dr Hughes ran his first parkrun and Dr Lodge was the tail walker ensuring that no one taking part in parkrun comes last! If you had forgotten your barcode then you saw Nurse Sue with her clipboard, HCA Louise and Senior Receptionist Gilly were giving out the barcode tokens to those who finished, Karen our Mental Health worker was barcode scanning and Practice Administrator Nicola was timekeeping! It was a beautiful morning and we all thoroughly enjoyed meeting the parkrun team of volunteers. If you would like more information please contact our Practice Administrator Nicola nicolaward4@nhs.net or ring us here at the Surgery. Our next parkrun takeover is Saturday 23rd March and we look forward to seeing as many patients there either volunteering, walking, jogging or running. Why not download the couch to 5k programme and join us. Did you know that at parkrun you can walk, jog or run 5k? parkrun is inclusive for everyone and relies on a number of volunteers each week, if you would like to take on a volunteering role please see the parkrun website or click here for the facebook page. To find out more watch the video and click parkrun for more details. We now have the results from the 2018 patient survey. We are very grateful to our patients who returned the questionnaires and we are very pleased with the results. You can see the results here. A new campaign to help improve heart health in the Vale of York has been launched. This initiative brings together local GP's and hospital specialists to help prevent people having a heart attack or stroke. Here is a short video from Dr Shaun O'Connell GP Lead for Acute Service Transformation. Please click here for the Healthy Hearts website. Each month there are between 60-90 people fail to attend their appointment. If you are unable to attend your appointment even at short notice, please do always let us know so we can utilise the time for patients in need. You can cancel your appointment by either clicking the "cancel my appointment" link at the bottom of this page, email us on VOYCCG.B82077-Kirkbymoorsidesurgery@nhs.net or telephone us on 01751 431254. We are always looking at ways in which we can reduce this number. We have now replaced our telephone system and you can press option 2 to cancel your appointment. We are looking into patients being able to text us back when they receive a text reminder. If you have any ideas that you think may help reduce this number please do contact us. We will shortly be moving to a new way of recalling patients who have a long term condition i.e. diabetes, hypertension, kidney disease, COPD. We will now write, text or email you to invite you to book an appointment in your birthday month. This may mean you visit the Surgery twice in the first year while we get the system up and running but we hope it will be a much more beneficial system and hope to work with you closely to keep you as healthy as you can be. Doctors from the Vale of York have created short videos to help patients self-treat common illnesses and ailments such as headache, earache, sore throat, sinusitis, joint/muscle ache and the basics of managing mood and anxiety. Click here to watch these informative videos. It should be noted that GPs do not provide sick notes for schoolchildren. When children are absent from school owing to illness, schools may request a letter from a parent or guardian, and this is no different during an exam period. However, children who have missed exams due to illness are frequently told by schools that a note from a doctor is required; but this cannot be provided by a GP. Aside from the fact that parents/guardians are responsible for excusing their children from school, GPs cannot provide retrospective sickness certification. When a child suffers from a long-term condition, any certification will be provided by the responsible specialist. GPC has sought and received confirmation from the Office of the Qualifications and Examinations Regulator that Awarding Organisations make no requirement for pupils to obtain a medical certificate in support of their application for special consideration. Students are asked for information in support of their application, but this may take the form of a statement by the school. The Joint Council for Qualifications has confirmed that as far as they are concerned, if a student was absent from an examination as a result of illness and has the support of the school or centre to be absent, special consideration will be granted on that basis. Awarding organisations do not insist that medical proof is provided. Were you born or know someone born between 1st September 1999 and 31st August 2000? You are now eligible for your MenACWY vaccination which helps protect you from four types of meningitis and blood poisoning - Men A, C, W, and Y. Contact us now to book an appointment. Getting the MenACWY vaccine and knowing the symptoms of meningitis could save your life. Between 1st April 2018 and 31st March 2019. Who is eligible? Current age 70, 71, 72, 73, 74, 75 78 or 79. If you were born after 1/9/1942 and you are 76 then you are eligible but if you were born before 2/9/1942 then you will become eligible on your 78th birthday. Please contact us to book an appointment for your shingles vaccination. Please remember we offer a confidential service to everyone including under 16's. This means we DO NOT discuss the conversations you have with us with anyone else. You DO NOT need to tell the receptionist why you need to see a Doctor or Nurse. You are welcome to bring a friend or relative to your appointment or you can come by yourself if you prefer. You DO NOT have to sit in the main waiting area but can ask to wait somewhere more private. You can now apply to view your medical records online. We do ask you to come in to Surgery to read over the information leaflet and also complete an application form. You will need to bring some ID with you, preferably photographic ID. Lose weight, drink less, move more? Do you want to be able to be weighed at a time that suits you without being tied into a class? Why not come along and use our Surgery Pod to weigh in at a time to suit you. We recommend the NHS choices 12 week plan which you can access by clicking here or we have printed copies in Reception. Look out for our healthy eating display coming soon to the waiting room. Why not make it a joint effort and bring along your friends or family. The Pod is available to use from 8am to 7pm Monday and Tuesday and 8am to 6pm Wednesday - Friday. The Surgery pod is located in the main waiting room. We would encourage you to use the pod ahead of your appointment to check your blood pressure, weight, answer any relevant questionnaires and more. The information can be sent straight to your medical record for the clinician to view therefore allowing the clinician more face to face time with you. Or why not drop in regularly and use the pod, no appointment is necessary and you can keep an eye on your blood pressure, weight etc. The pod is user friendly and staff are more than happy to guide you through how to use the pod. Did you know that all our routine GP and Nurse and Health Care Assistant (HCA) appointments are available to book online. If you would like a username and password to be able to book appointments, order prescriptions, cancel appointments and much more 24 hours a day, 365 days a year then please contact reception (please note you will need to attend the Surgery in person to receive this information). For a summary of the actions we have taken after feedback from your PPG please have a look at Patient Group- notes from meetings. We will send you text messages to confirm your appointment and remind you of your appointment if you provide us with your mobile number. We can also send you messages from your GP if you complete one of our consent forms. Please call in to reception and complete our consent form for this useful service. New contractual requirements came into force from 1st April 2014 requiring that GP Practices should make available a "statement of intent" in relation to the following IT developments. The same contractual obligations require that we have a "statement of intent" regarding these developments in place and publicsed by 30th September 2014. Please click here for our statement of intent.